in GBP to NZD, NZD to GBP. Another sharp slump in the ANZ truckometer index failed to offer the Pound Sterling to New Zealand Dollar (GBP/NZD) exchange rate a boost. 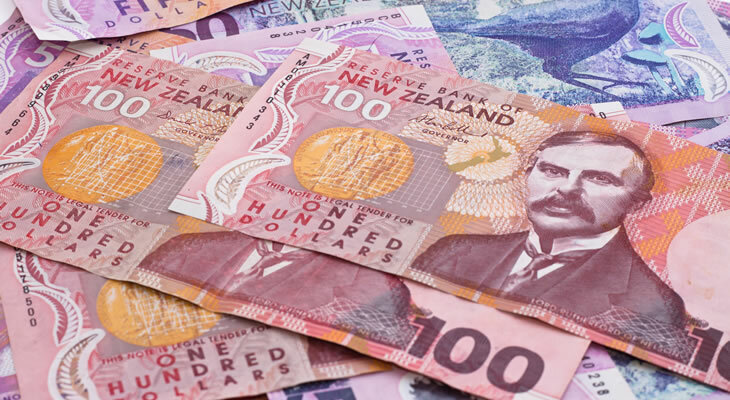 While the heavy traffic index contracted -2.6% on the month, consistent with weaker economic growth, this was not enough to drive the New Zealand Dollar (NZD) down against its rival. Although New Zealand data continues to show signs of softness this does not necessarily point towards a weaker domestic outlook. Even so, with market risk appetite limited the support for NZD exchange rates still proved limited on Tuesday morning. Pound Sterling (GBP) may come under further pressure on the back of August’s monthly UK gross domestic product data this week. Forecasts point towards growth easing from 0.3% to just 0.1% in August, suggesting that the economy has weakened further in the third quarter. With the impact of strong summer consumer spending fading the UK economy looks set to come under increased pressure as a result of Brexit-based uncertainty. A weaker GDP reading is likely to leave the GBP/NZD exchange rate on a downtrend, as slowing growth would give the Bank of England (BoE) incentive to leave monetary policy on hold for longer. August’s visible trade balance reading could also put pressure on Pound Sterling, with the deficit expected to widen further. Fresh evidence of the UK’s weaker trade position is unlikely to ease market concerns over Brexit, leaving GBP exchange rates vulnerable to further losses. Confidence in the New Zealand Dollar may receive another blow, however, if September’s food price index fails to show an improvement on the month. Signs that inflationary pressure remains muted could escalate investor worries over the possibility of the Reserve Bank of New Zealand (RBNZ) cutting interest rates in the months ahead. As domestic inflation continues to lag RBNZ policymakers look increasingly likely to resort to a rate cut, widening the policy divergence between the RBNZ and the hawkish Federal Reserve. This would undermine the appeal of the New Zealand Dollar, even if market risk appetite shows signs of picking up. On the other hand, if prices show growth on the month the Pound Sterling to New Zealand Dollar (GBP/NZD) exchange rate is likely to cede further ground. Previous ArticlePound US Dollar Exchange Rate Forecast: Will Slower GDP Bring Trigger GBP/USD Losses? Next ArticleEuro to US Dollar Exchange Rate Forecast: Will ECB Accounts Boost EUR/USD Trading?